Why do we need alternative urbanisation? From 24-29 April 2018, Cooperation and Development Network of Eastern Europe (CDN) – with the support of the European Youth Foundation of the Council of Europe, Green European Foundation (GEF), Green Group in the European Parliament, MEPs Terry Reintke and Rebecca Harms – organised a five-day youth training on Alternative Urbanisation on Buyukada island in Istanbul, Turkey. We gathered more than 40 young people from Eastern Europe with the aim to empower them to get active in their city and seek and provide support that make their cities more resilient. 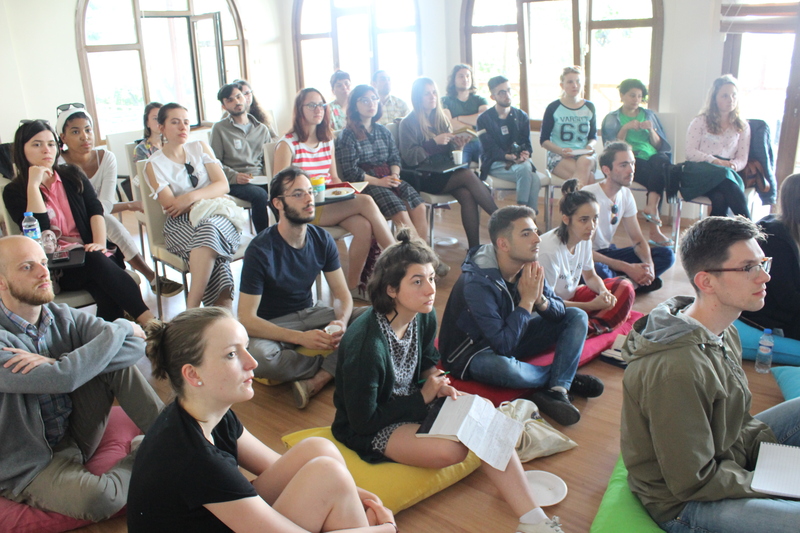 Together we explored the main Environmental, Social, Political and Economic aspects of urbanisation and the “Why and How” of alternative urbanisation, its relevance for Eastern European cities, Green activism and politics. Moreover, participants had a chance to receive trainings in Advocacy and Project Management. The activity was preceded by an online course in collaboration with Green European Foundation. The online course served as a getting to know each other as well as initial step to introducing with ideas and concepts of urbanism, green cities, impacts of globalisation on the urban development on local level. 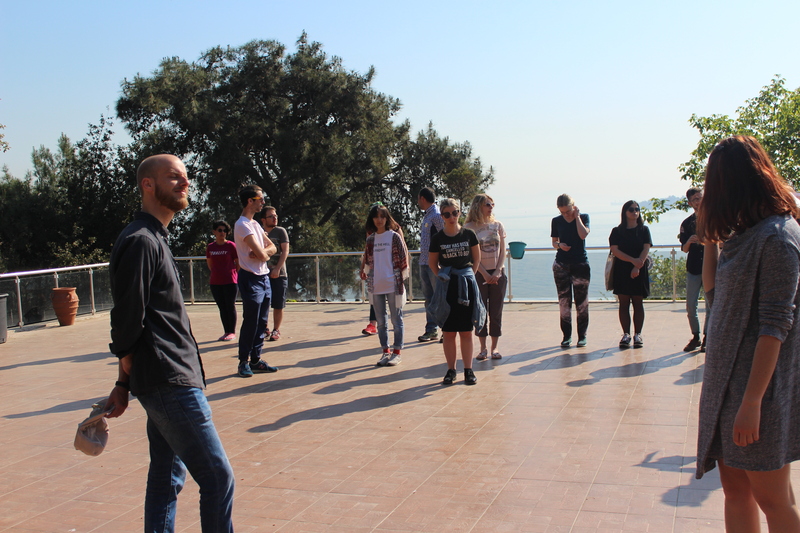 First two days of the training set the ground in understanding cities as microcosms that reflect and face problems in our societies such as social and gender inequality, ecological and energy problems, transport. Guest lecturer from the Green European Foundation gave a workshop about commons-based economy and cities’ role in shaping post-capitalist societies. In addition to the topical explorations, participants did research about local urban practices and analysed them through the prism of resilience. Practices varied from any type of urban intervention starting from pop-up activities like urban gardening to passing an urban-related policy on the national level. After two-and-a-half days of learning about the theoretical basis and identifying the issues, the program continued with two skills-based trainings: the participants were split in two groups and got different trainings needed for their future common actions. The group that attended training on Advocacy, learned how to address the target groups and stakeholders and how to create effective message and disseminate it. Moreover, the group learned about effective communication tools through good campaign examples. In the end, this group created Urbanifesto, that all participants of the training adopted together. The Manifesto articulates problems in Eastern European cities from the perspective of youth and expresses their demands towards socially, environmentally and economically sustainable cities. Second group, which attended Project Management training, gained skills in defining goal and aims of the project, learned about project phases and fundings. This group developed activity framework for the regional trainings that will take place during the summer. Regional trainings are second phase of the project and will take place in Albania, Belarus, Serbia and Georgia. In this phase participants of the training in Istanbul will transfer the knowledge to regional level and participants will prepare frameworks for their local activities that will take place in autumn. This entry was posted in CDN News, Educational Activities, Organisational Activities, Uncategorized. Bookmark the permalink.